Product #60643 | SKU WLC-T04-CBP-114 | 0.0 (no ratings yet) Thanks for your rating! 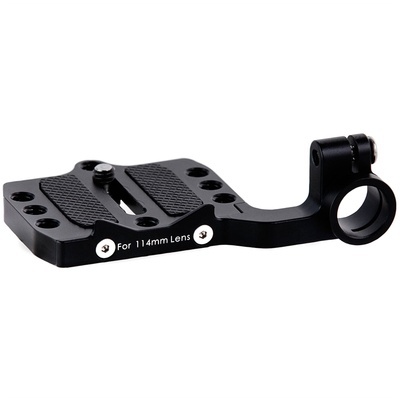 This Tilta Baseplate with 15mm LWS Rod Clamp for 114mm Lens Diameter attaches to the base of your camera and provides a 15mm rod attachment so that you can attach the Nano Motor to your setup with a small 15mm rod. The spacing of the rod attachment is designed to allow you to comfortably rest the motor against the focus gear of lenses that have up to a 114mm front diameter.